If you’ve stayed at Santo Stefano di Sessanio’s Albergo Diffuso you will know the incredible work of the ethno-anthropologist Annunziata Taraschi as she curates, records and brings a forgotten Abruzzo proudly back to life. Join her in her hometown of Tossicia for an all inclusive, very intimate break to take part in the town’s historic winter San’Antonio festival full of ancient rites. On the first day you’ll learn the historical and cultural aspects of the Feast of San’Antonio Abate. 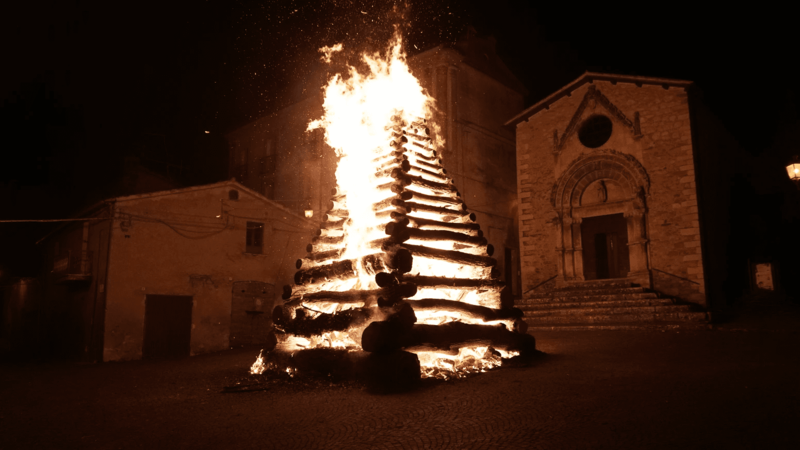 You’ll accompany local musicians as they take a tour around Tossicia, sing and are invited into each family’s home to receive alms, food, wine and the wood required for the community’s Saturday bonfire night. Join Signora Alida, together with her friends for a confectionery cooking lesson and share their secret recipes that includes Cellittë, the stuffed pastries shaped like little birds that are the “gastronomic” symbol of this feast. Help Mario and his ‘fireman’ create the town’s colossal fire dedicated to the Saint and domestic animals. The blessing of the bonfire will officially kick off this small town’s official winter party. Penna San’Andrea is famous for its folklore & music festival in August but also for its San’Antonio Abate celebrations. 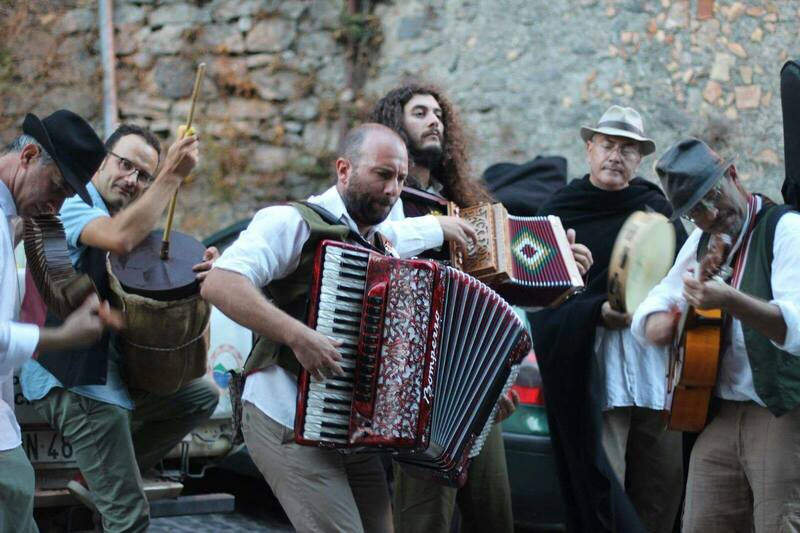 Join the town’s famous folk band Li Sandandonijre for the most authentic of Abruzzesi experiences, accompanying the musicians as they traditionally celebrate the Feast of San Antonio, plying each house with music and song in exchange for local food, wine & delights in the small town and the surrounding villages.